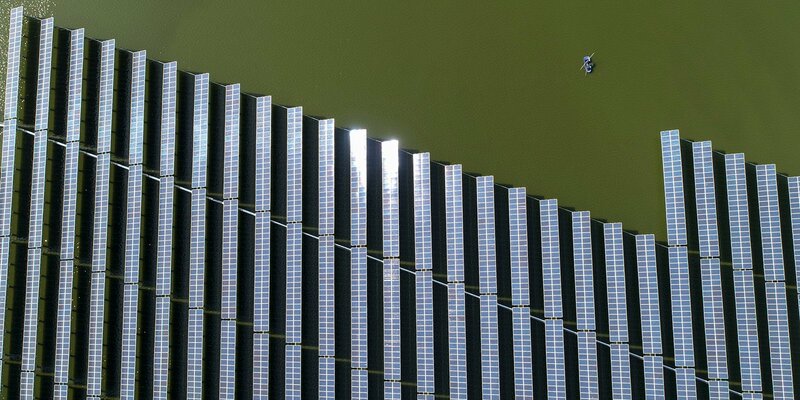 Chinese fishermen next to a photovoltaic power station built on top of fish ponds in Yangzhou in China's eastern Jiangsu province. Image: STR / AFP via Getty Images. Treating 'run-of-the-river' hydro, wind and solar electricity as consumable commodities is fundamentally inconsistent and has important implications for policy and investment. The electric business worldwide is still defined by the electricity meter more than a century after its invention in 1885. The focus of the electric business today is selling and buying metered and measured kilowatt-hours in an electricity market. But no one actually wants kilowatt-hours. We want illumination, heat, refrigeration, motive power, mobility, information and communication. We get these services from lamps, heaters, chillers, motors, vehicles and electronics. When electric business means selling kilowatt-hours, the more kilowatt-hours the better, for the seller at least. If the buyer uses, for instance, inefficient lamps needing more electricity to provide enough light then the seller benefits. This perverse incentive to inefficiency - to poor overall system performance - is a key reason for the extravagant waste that has long disfigured electricity systems. When the electricity is generated by fire, with its inevitable emissions pernicious both locally and globally, this cockeyed arrangement promoting more kilowatt-hours becomes seriously dangerous. No one actually wants kilowatt-hours...we want illumination, heat, refrigeration, motive power, mobility, information and communication. Fortunately, the long-established business model based on selling kilowatt-hours - taken for granted worldwide as the basis for investment, revenue and business transactions - is now breaking down. In southeastern Australia and the southwestern US, for example, the monopoly electricity companies, expecting increased electricity demand, invested heavily in expanded transmission networks. But customers instead installed rooftop solar photovoltaic generation and reduced demand from the network. The companies, to recoup their network investments, responded by increasing their electricity rates. That in turn prompted customers to add battery storage and disconnect completely from the network, producing what analysts called a 'death spiral' for the companies.1 Similar developments, for instance in Germany and Denmark where local generation is owned not by the major electricity companies but by villages, cooperatives and individuals, have burgeoned and are threatening the major companies. This trend is spreading. Attempts to create an electricity market in commodity kilowatt-hours are complicated by a simple physical fact: electricity is not a commodity. It is a process happening instantaneously throughout an entire interconnected network. The electricity alone does not provide the desired service - the complete system does, in particular, the end-use technology. Moreover, the better this technology, the less electricity you need to get the service. Since what you want is the service, putting a meter in the middle and charging you accordingly, is like putting a meter in your car between the motor and the wheels. Attempts to create an electricity market in commodity kilowatt-hours are complicated by a simple physical fact: electricity is not a commodity. When you generate electricity by using fire and consuming fuel, charging the user for using up a commodity makes some sense. However, when you generate electricity with wind or solar PV you do not consume anything - nothing at least that belongs to any owner, nothing you must pay for. The financial framework for wind and PV is totally different from that for generation based on fire and fuel, as is the risk profile. Electricity generated not with fire or fission but by harvesting natural energy flows with physical assets, such as wind turbines and solar PV, can be called 'infrastructure electricity'. This durable infrastructure, which produces electricity without 'consuming' any resource, entails significant initial investment but no subsequent fuel cost and only minimal maintenance as a running cost. In an appropriate business model for infrastructure electricity, the requisite revenue stream is therefore that which offers a suitable return on the initial investment, and has very little to do with a commodity market in kilowatt-hours. The economics of fire-free infrastructure generation are likewise dramatically different. The economy of scale that led to gigantic gigawatt-sized traditional power stations, especially coal-fired and nuclear, has been overtaken by economies of series manufacture in large numbers with a rapid learning curve, dramatically demonstrated by the astonishing drop in costs for wind and solar PV generation. 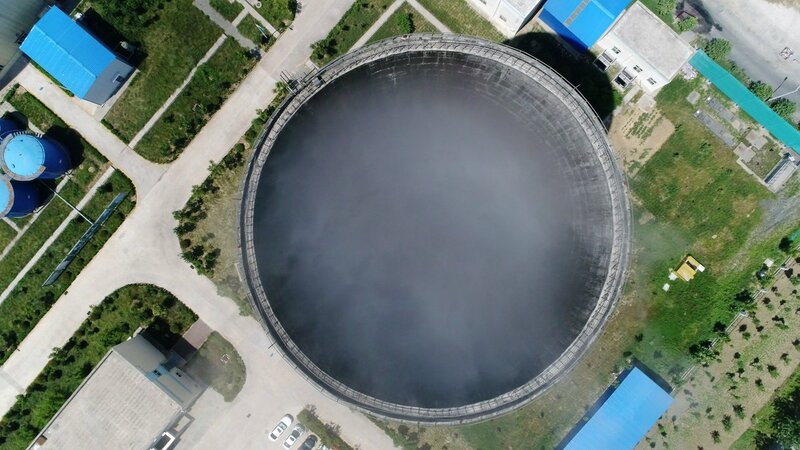 The rise of smaller-scale clean generation in large numbers - ever cheaper, more versatile and more reliable - is now being joined by similarly attractive options for electricity storage. Appropriate business models incorporating these technical advances are now emerging. To be sure, some wind and PV generation is organized into large-scale arrays that mimic traditional generation, producing and selling major outputs of measured kilowatt-hours into traditional networks. However other wind and PV - a rapidly increasing component in some suitable places - is on individual rooftops or other local sites in small-scale arrays owned by local businesses, communities and even individuals, that nevertheless deliver economic and valuable electricity output into the traditional network. 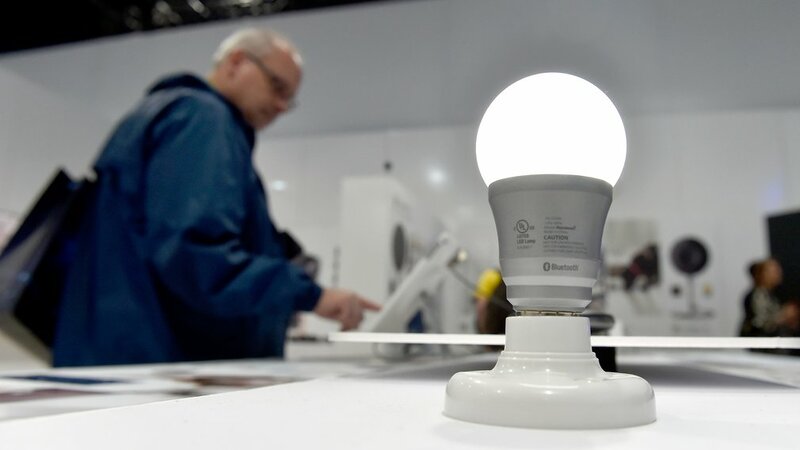 Bluetooth smart-enabled lightbulb on display in Las Vegas, United States. Image: David Becker via Getty Images. When Edison and Swan introduced incandescent light, they charged customers according to how many lamps they had, whether off or on. Yet another configuration is now also coming into play, the so-called 'microgrid', a local network that combines generation, network, end-use technology and controls. A microgrid harks back to the early days of electricity. The electric telegraph did not measure or sell kilowatt-hours. Its business was selling information and communication. The providers of the first electric light, an arc light produced in what we would now call a microgrid, were selling not electricity but illumination. When Edison and Swan introduced incandescent light, they charged customers according to how many lamps they had, whether off or on. Complete systems used electricity to deliver a desired service. Customers paid for access to electric light, whether they used it or not, just as you pay rent or a mortgage for access to the comfort of your home - whether you are in it or not. No commodity transaction arises. When you are selling a service, you want to optimize the entire system, including the technology that actually delivers the service. You do not want your customers to use inefficient lamps and motors. Hitherto, the concept of 'energy service company' has struggled to gain a foothold in the centralized configuration of traditional electricity focused on selling kilowatt-hours. However, the rise of local systems such as microgrids reinforces the service approach, because the ownership and control of all system assets is also localized. The better your end-use technology, the less generation you need. The world is undergoing a dramatic electricity transition and the global struggle for power over this transformed electric system is set to profoundly shape our future. Once we get away from focusing on electricity - on generating, buying and selling it - and concentrate on delivering the service users actually want - a process in which electricity is part of the function and not the most important part - we find a completely new way to define and consider options for investment and business. It is a fundamentally different business. If it is based on fire-free generation of electricity it involves no 'consumption' of resources but rather transactions based on access to the process. Bhave proposes an array of alternatives to selling kilowatt-hours with business models to match. He describes what he calls 'fractionation' into different 'product markets' - businesses delivering particular services with systems optimized accordingly. He suggests that entrepreneurs could offer, for instance, street lighting, building lighting, electric car charging, traffic lights, water pumping, hot water, solar inductive cooking or home security - the list expands as you think about it. In every case the business model will be based on contracts for delivery of the service that pay no attention whatsoever to the electricity involved. As renewables become a large share of the global energy mix, greater electricity system flexibility will be critical and will originate from the small scale. 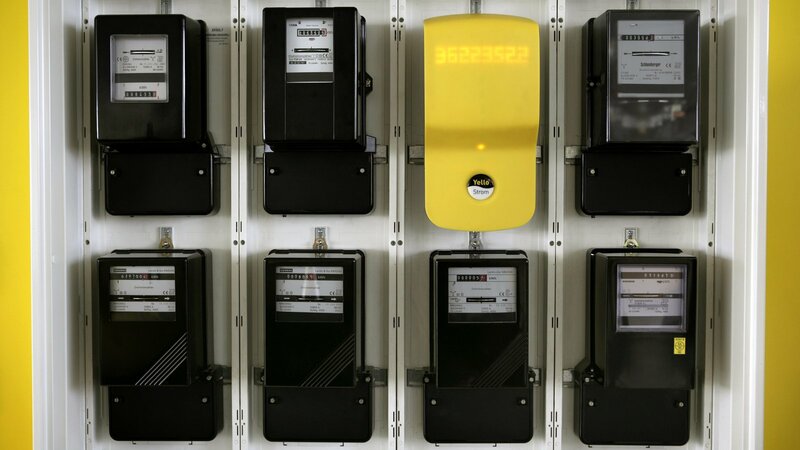 Recent commentary has referred to business opportunities 'behind the meter' or 'BTM', that is, on customers' premises, particularly upgrading buildings and other end-use technology, as well as on-site generation and battery storage. But a lot of these opportunities may well be 'WTM' - 'without the meter'. The opportunities will be for those who sell, install, operate and maintain these facilities, including not only generation but also networks, controls, and - most of all - high-performance end-use technology. The process begins where the electricity generation is - and that can now begin anywhere. With solar PV and batteries in a suitable location, any building can be a generator and support a local microgrid. With solar PV and batteries in a suitable location, for example, any building can be a generator and support a local microgrid. Given the global importance of electric systems for the services society desires, what we are talking about is a completely new way of organizing what we do and how we do it. The first prerequisite is a new way to think about it. We need to identify the business drivers and the entrepreneurs who respond to them. Will they be the incumbent electricity companies? They could be, with sufficient imagination and foresight. But they may instead be newcomers with fresh insights into possibilities and potentials. Regulators and governments, too, will have to change the way they think about the electric future. Over time, electric business may disappear. As a business, so may electricity.